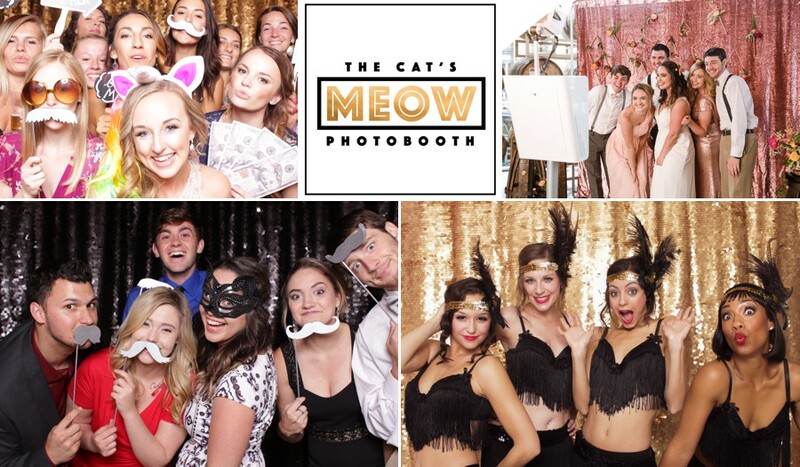 We are thrilled to share with you the new Portland photobooth rental brand, The Cat’s Meow Photobooth! Previously we’ve been operating under Jaime Kae Hazen Photography & Design LLC since 2015. We grew up and needed an identity of our own and we think it’s the cat’s pajamas! You’ll find us traveling to Seattle, Portland and beyond from our home base in Astoria, Oregon with our mobile photobooth entertainment. Adding a photo booth rental to your Portland wedding keeps your guests entertained and provides a wedding favor of them to take home that’s a keepsake of the fun memories they made at your party. At every event we do and the thousands of photographs taken you always see smiles, creativity and often some shenanigans ensue in every capture. It doesn’t take long for the line to form and everyone is wanting to get into the next photo. Not every one will cut a rug on the dance floor, but most everyone will pose for a silly photo booth pic with their BFF or their favorite Aunt at the wedding. Jaime Kae Hazen Photography provides wedding photography and an open air photo booth rental services that can be booked alone or together for a discount. Our coverage area spans most of Western Oregon and SW Washington. Get in touch to see if we have your date available! A photo can capture a moment in time that passes all too quickly and can never be replicated. As a photographer I love being able to capture the beautiful portrait of a bride and groom, or a high school senior that’s off to college in the fall, but with a photo booth we can capture a whole different kind of photo to cherish. A photo booth photo can bring back memories of fun, camaraderie, and silliness at any hosted party event. Guests love to bust out their paparazzi style and jump into our photo booth at all kinds of events taking home the best kind of party favor! Contact us for a custom quote for your event! What better way to celebrate the season than with a photo booth at your next holiday party or New Year’s celebration! Whether you are planning for next year or it’s last minute get in touch to see if we are available for your event! A photo booth can be a fun addition to any party or event, like the white themed party shown in the photos above. It’s a great source of entertainment and memorable keepsake prints are available instantly for everyone to take home. Luxury Portland photo booth rental by Jaime Kae Hazen Photography. Available for travel nationwide. Wedding photobooths are all the rage right now! Take silly photos with your friends and family and get an instant print to take home as a keepsake. What’s not to love! Well, not all photo booth rental services are created equal. Some are enclosed, some are open, some can post right to social media, some have stellar image quality while others might use a webcam to capture images. When shopping for a photo booth rental you’ll want to be sure what your photo booth service provider offers is top quality and exactly what you need and want. 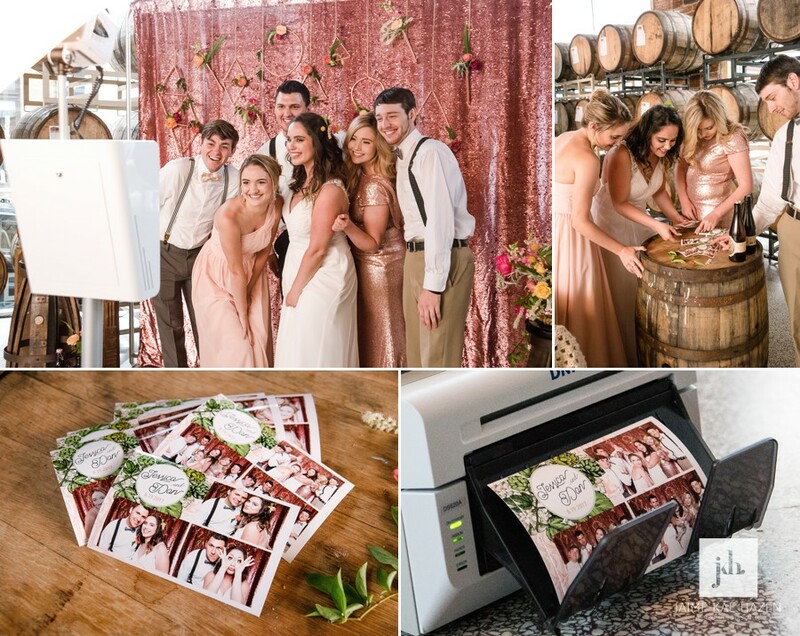 At Jaime Kae Hazen Photography, we offer an open air concept photo booth unit with a touch screen interface perfect for posting to social media, texting and emailing photos right from the event. We have superb image quality and instant prints ready in less than 9 seconds! Photobooth guestbooks can be made as the photos are taken and are ready for you to take home at the end of the event. Perfect! 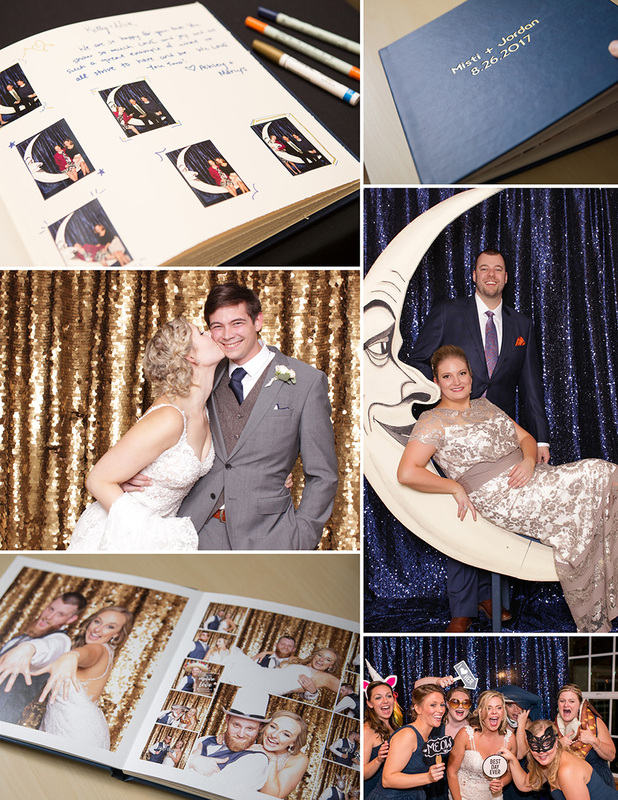 Our most recent Portland photo booth event is featured above with a paper moon theme for their wedding at McMenamins Cornelius Pass Roadhouse. A unique moon bench and beautiful navy sequins were used for the backdrop. The bride and groom loved their photo booth guestbook they received at the end of the evening. It was so much fun! Contact us for availability and rates for our portland wedding photobooth with Jaime Kae Hazen Photography! View our most recent events on our Facebook page. Adding a photobooth to your wedding is a great way to entertain your guests during your cocktail hour and reception. There is so much fun to be had and great memories to be made with a photobooth at your wedding or event. Our open air design of our photobooth ensures plenty of space to get everyone in the shot. We offer instant unlimited prints, instant social media sharing, beautiful backdrops and a really fun prop collection. Discounts are available for booking wedding photography and photobooth services together. Portland photobooth rental is available for weddings, birthday or anniversary parties, fundraisers, school dances and corporate events.